If you’re a small business owner, you probably focus most of your time and energy on the following things: getting your business off the ground, perfecting your product or service, and finding the best employees to help you drive sales and brand awareness. You’re probably so busy that you have no time to focus on the most important small business tips and tools like learning legal policies and best practices. As a small business owner, knowing these small business tips is essential to creating a business that can grow and last for years to come. That’s why we’re here- to cover the top 8 legal mistakes you should avoid as a business owner. By following the tips in this article, you can avoid any run-ins with the law and keep your business on track. When it comes to small business tips and mistakes, the first one that comes to mind is failing to trademark your business name and logo. Many small business owners forget to do this and end up either having their name and idea stolen from them, or sued for infringing on someone else’s intellectual property. Before you choose your business name, you should search online to see if the name you want is available. You should then check with your state’s business filing office to see if anyone else is using this name. And once you have a unique name and logo, you need to trademark them so you can avoid any expensive legal battles that could put you out of business. One of the most important small business tips is setting up the right business structure, which many businesses fail to do. And to be fair, it’s a tricky thing to do, as there are many types of business structures such as sole proprietors, LLCs, corporations, and partnerships. Each one of these business structures has pros and cons, so before you make a decision you should weigh those to determine which structure is right for your small business. If you’re starting a business with a friend, family member or coworker, one of the best small business tips is to make a written agreement detailing the partnership. You may not think you’ll need this, but it can spare you of a messy legal battle if the relationship ever goes south. If you have a partnership agreement in writing, you can protect yourself if there’s a falling-out, and you can easily sell your company if you choose to leave it. This agreement should cover how much each person owns, how much each percentage contributed, and how decisions will be made. When it comes to paying employees, you may be tempted to take shortcuts and misclassify workers to save money. Often times, small business owners will hire independent contractors rather than normal employees and misclassify them as being exempt under the Fair Labor Standards Act, so they don’t have to pay them overtime. There are serious liabilities that can arise if you misclassify, such as wage repayments and other penalties. If you’re a small business owner in Texas and have questions about legal issues for employers, you should check out Julie Johnson law. If you’re a small business owner with employees, one of the best small business tips is setting up proper human resources guidelines. This manual should be a guide to how you conduct your business and what is expected of employees, including what behaviors are appropriate and inappropriate. You should also have all your employees sign an acknowledgment sheet that states they have read and understood everything in the guidelines. This is extremely important to do as a small business because if you don’t you could deal with lawsuits from former employees. You should seek help from a human resource professional or use a software that will help you craft the human resources policies that are right for your business. And make sure you review and update them regularly! If you’re a small business owner in need of money to scale your business, odds are you’re looking for or already found an outside investor. If you’ve done this or are considering doing it, you should think about the legal implications. Any disagreements you have about your company is run or managed could turn into an ugly legal battle. So you should make sure you carefully choose any investors you bring into the company. Make sure they share the same vision you have and that they want the same things for your business so you can avoid any issues. When it comes to small business tips, one of the most important ones is figuring out the tax law process beforehand. You should hire a great business accountant or purchase accounting software that will keep your records and file your taxes so you have them ready when tax season comes. If you don’t do this, you can run into major tax issues that could ruin your business. A lot of small business owners make the mistake of thinking they don’t have the same legal requirements that bigger businesses have. But it’s super important to work with an attorney during the early stages of your business so that you adhere to any and all relevant laws. You should meet with an attorney to help navigate the ins-and-outs of employment law, and another one to help you set up your business structure and settle any partnerships. If you don’t you’ll be more likely to run into legal problems, which could ultimately bankrupt you and ruin your business. If you’re a small business owner, the last thing you want to do with is legal issues that threaten your livelihood. By avoiding the 8 legal mistakes listed in this article, you can keep your business on track and avoid any legal issues. 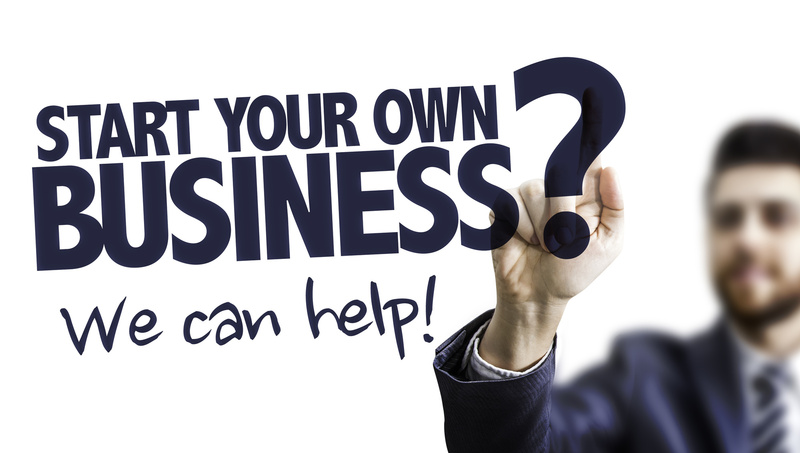 Are you looking to open your own small business? Have any additional questions? Let us know in the comments below!